pangsapuri persanda 2 is now open for registration. it is an apartment at section 13, Shah Alam... a service apartment to be exact. Just next to the MSU new campus which is currently under progressive development. if u are in federal highway from kl to shah alam, please carefully look at your left at the first apartment u found after the shah alam toll. it is the pangsapuri persanda. pangsapuri persanda 2 will be developed there too. just behind the pangsapuri persanda, is the new campuss of msu. i learned that msu is developed without any hostel. walla.. a big campus like that with no hostel means that they need our cooperation as property investors to provide their students a decent place to live in. so you can expect that persanda 2 is developed mainly for the students. also, as i wrote before, msu approached spnb to buy the whole units in 3 floors of alam prima to be converted as their students' hostel. but spnb rejected the proposal. so, it is obvious that the students have no other option.. renting out somewhere near to their campus. as near as persanda and persanda 2.
built-up is from 920 - 1,031 sq. ft.
expected price starts from RM239,200, means rm260 psqft. about the same rate as subang andaman. for the 752sqft, the asking selling price is about rm170k. compared to the new persanda 2, it is clearly that persanda 2 is a lil bit expensive. for the price of 239, 200, considering we can apply 90% loan..
for 30 years repayment at the rate of BLR - 1.8% , the monthly repayment will be rm997. this means that for persanda 2, the rental must be at least 1417.20 to make the rental income sufficient enough to pay the loan and extra 2 months reserve for maintenance or tenants moving out. will persanda 2 able to fetch this rental rate? looking at the vista angkasa, surely no problem because they will fit 10 people in one single unit. looking at unipark, also no problem since students will have no problem paying rm250 per person and only 6 people per unit. 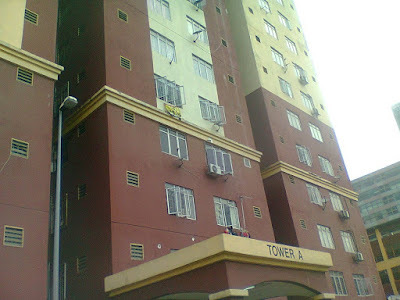 but for apartment baiduri, just next to uitm, the rental rate is about 1200 only. the developer is HR United. They developed persanda, suria mas @ bandar sunway and semi D in Taman dagang, ampang. 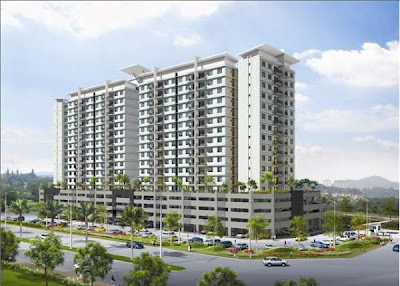 They also develops kinrara mas, the peak at cheras and mount kiara3. But there are also complaints on their performance. Ok, since it is just open for registration, the price is actually not really confirmed yet. it is just an indicative price. It is expected to be launched on October 2009. Then, an automatic reply email will be sent to your inbox. My blogger friend, mytotall also has written a review on Persanda 2 for us to read. Read all the comments too.. It has lots of info. He also posted photos on the new MSU campuss development project in his blog. For any further enquiries, you can call the developer at the details below.